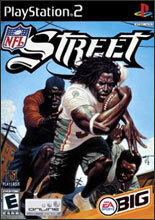 In its 14th season, Madden NFL Football remains the undisputed leader in authentic NFL football simulation. This year, make adjustments after the snap and create championship caliber plays with revolutionary Player Control. Featuring new EA SPORTS Talk, online tournaments, and new Owner mode, no other football video game offers more depth. 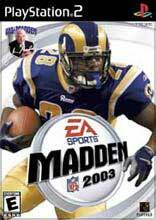 Madden NFL 2004 is the most complete, authentic sports video game ever, making it The Ultimate Judge for sports gamers. New Playmaker Control - Make pre-snap adjustments to your receiver routes, direct receiver routes during a scramble, direct blocking down field during a run, or read and react to the offense to deliver a crushing tackle. 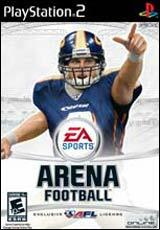 Enhanced EA SPORTS Online - Connect with opponents close to your skill level using Quick Match, or access EA SPORTS Online messaging to communicate with your buddies in all EA SPORTS PlayStation2 online games. New EA SPORTS Fair Play ranking system eliminates online cheating and only rewards players who complete full games. Compete in the all-new Online Tournament mode and chat in-game with EA SPORTS Talk. New Owner Mode - Hire your own staff, set your team’s ticket and concession prices, and more. Build your own stadium with millions of possible stadium combinations including various luxury boxes, scoreboards, tunnel entrances, and premium seating locations. Reward key players with signing bonuses and boost player attributes by participating in Mini-Camp drills. All-New Game Presentation - Now you will never leave the playing field. Keep your players on the field during the play-calling screen. Watch all the highlights in split-screen replay and revel in new player accuracy details like dreadlocks, tattoo replicas, and four new helmet styles. 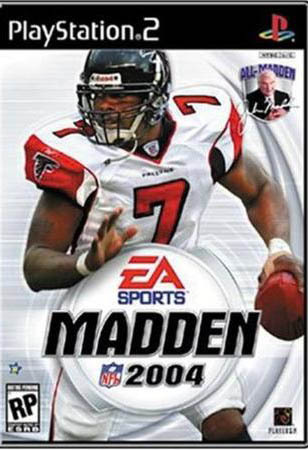 Most Realistic NFL Playbooks Ever! - Tons of new trick plays, multiple formation variations, and the deepest NFL playbooks from all 32 officially licensed Coaches Club Head Coaches and NFLCA licensed Assistant Coaches. New Specialty Animations and Game Enhancements - Including new QB scramble transitions to improve throwing on the run, stumbles, bone-crushing open field blocks, whirlwind defensive reaction moves, sideline wrap tackles, and out of bound pushes. Change your personnel at the play-calling screen to create match-ups in your favor in any offensive formation. New Video Tutorials - Presented by Al Michaels and Melissa Stark, these tutorials make the game even more friendly to new gamers. Both basic and advanced topics are covered. 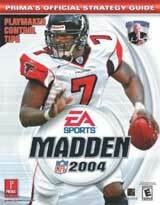 New Madden Moments and EA SPORTS Bio - Re-live or change the outcome of the greatest NFL games of all-time. 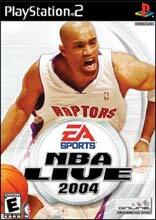 Track your most memorable accomplishments across all EA SPORTS games, and unlock special rewards by playing multiple titles including NCAA Football 2004, NBA Live 2004, NASCAR Thunder 2004, and Tiger Woods PGA TOUR 2004.